(AP) WASHINGTON - The number of Mexican immigrants living illegally in the U.S. has dropped significantly for the first time in decades, a dramatic shift as many illegal workers, already in the U.S. and seeing few job opportunities, return to Mexico. An analysis of census data from the U.S. and Mexican governments details the movement to and from Mexico, a nation accounting for nearly 60 percent of the illegal immigrants in the U.S. It comes amid renewed debate over U.S. immigration policy as the Supreme Court hears arguments this week on Arizona's tough immigration law. Roughly 6.1 million unauthorized Mexican immigrants were living in the U.S. last year, down from a peak of nearly 7 million in 2007, according to the Pew Hispanic Center study released Monday. It was the biggest sustained drop in modern history, believed to be surpassed in scale only by losses in the Mexican-born U.S. population during the Great Depression. Much of the drop in illegal immigrants is due to the persistently weak U.S. economy, which has shrunk construction and service-sector jobs attractive to Mexican workers following the housing bust. But increased deportations, heightened U.S. patrols and violence along the border also have played a role, as well as demographic changes, such as Mexico's declining birth rate. In all, the Mexican-born population in the U.S. last year -- legal and illegal -- fell to 12 million, marking an end to an immigration boom dating back to the 1970s, when foreign-born residents from Mexico stood at 760,000. The 2007 peak was 12.6 million. Christian Ballesteros, who has been at a shelter for immigrants in Matamoros, Mexico, across the border from Brownsville, Texas, pointed to stiffer U.S. penalties for repeat offenders as well as brutal criminal groups that control the Mexican side of the border as reasons for the immigration decline. Ballesteros, who has been deported four times, was recently caught after hopping the border fence near Nogales, Ariz.
"The Mexican cartels are taking over, are actually being like the border patrols on this side," Ballesteros said. "They threaten them, `if you don't pay, what we're going to do is we're going to cut your head off.' That's the worst, the worst, the worst part," Ballesteros said. After his last apprehension by U.S. authorities, Ballesteros was sent to a detention facility in Las Vegas for 2-and-a-half months. He fears it could be six months if he's caught again. "You can lose money, but if you lose time there's no way you can recover that time," Ballesteros said, noting that many immigrants have families to support. Jeffrey Passel, a senior demographer at Pew who co-wrote the analysis, said Mexican immigration may never return to its height during the mid-decade housing and construction boom, even with the U.S. economy recovering. He cited longer-term factors such as a shrinking Mexican work force. He noted that government data now show a clear shift among Mexican workers already in the U.S. who are returning home. He said that data is a sign that many immigrants are giving up on life in the U.S., feeling squeezed by increasing enforcement and limited opportunities that they don't see improving anytime soon. About 1.4 million Mexicans left the U.S. between 2005 and 2010, double the number who did so a decade earlier. In the meantime, the number of Mexicans who entered the U.S. sharply fell to about 1.4 million, putting net migration from Mexico at a standstill. More recent data suggest that most of the movement is now heading back to Mexico, accounting for the drop in the illegal immigrant population. During the same period, the population of authorized Mexican immigrants edged higher, from 5.6 million to 5.8 million. Among the Mexican immigrants who leave the U.S., an estimated 5 to 35 percent are deported while the rest opt to go back voluntarily, often taking U.S.-born children with them. Those who were in the U.S. illegally and returned to Mexico also are increasingly saying they will not try to come back, about 20 percent, compared to 7 percent in 2005. The Pew estimates come amid heightened attention on immigration in an election year where the fast-growing Hispanic population, now making up roughly 16 percent of the U.S. population, could play a key role. Arizona's law, being challenged by the Obama administration in the Supreme Court, seeks to expand the authority of state police to ask about the immigration status of anybody they stop on the rationale that federal enforcement has largely failed. Since Arizona's law passed in 2010, five other states -- Alabama, Georgia, Indiana, South Carolina and Utah -- have passed similar measures. Steve A. Camarota, director of research at the Center for Immigration Studies, a Washington group that advocates tighter immigration policies, said the latest numbers show that immigration policies do make a difference. "The bottom line is that immigration is not the weather. It is something that ... can be changed," he said. "The economy is worse but enforcement is also higher, making it more difficult for immigrants to get jobs in states like Arizona. They are now making new calculations and changing their views." 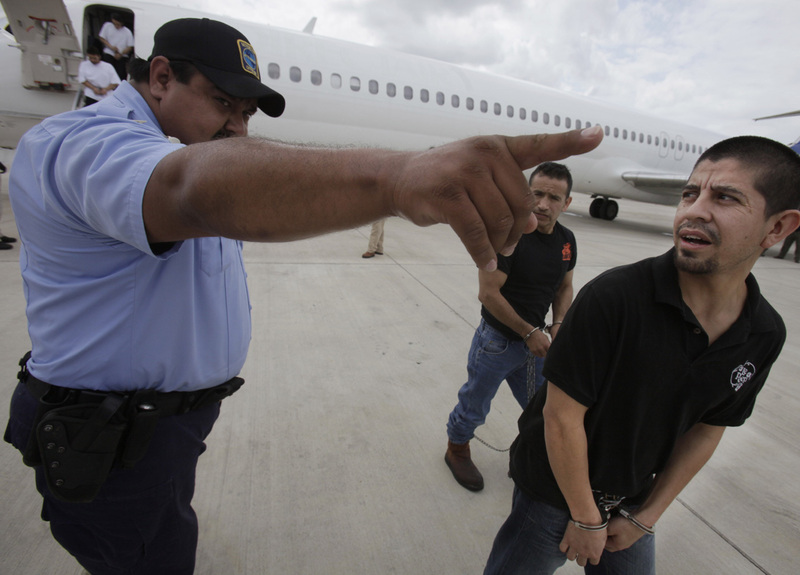 Illegal Mexican immigrants who have stayed in the U.S. for longer periods of time are now more likely to be sent back by authorities than before. About 27 percent of immigrants sent back had resided in the U.S. for a year or more, up from 6 percent in 2005. Despite an increase in Border Patrol agents, apprehensions of illegal immigrants at the U.S.-Mexico border have dropped sharply -- from 1 million in 2005 to 286,000 in 2011, a sign that fewer illegal immigrants are trying to enter. Some 29 percent of all current U.S. immigrants are Mexican born, by far the most from any single country; that's down from its peak of 32 percent in 2004-2009. The next largest share comes from India, accounting for 4.5 percent of the nation's 40 million foreign-born residents. A typical Mexican woman is projected to have an average of 2.4 children in her lifetime, compared with 7.3 children in 1960. By region, Mexican-born immigrants in the U.S. are mostly likely found in the West (51 percent) and South (33 percent). About 58 percent now live in California and Texas, down from 63 percent in 2000 as immigrants spread out over the past decade in search of jobs in other states.